On April 18, Oyasama, the Foundress of Tenrikyo, is born. Oyasama was born in Sanmaiden Village, Yamabe County, Yamato Province (presently Tenri City). She married into the Nakayama family, who lived at the location of the Residence of Origin, where the original conception of human beings took place. At about 8:00 a.m. on October 26 (December 12 by the Gregorian calendar), Oyasama is settled as the Shrine of God, thus marking the founding of the Teaching. God spoke through the mouth of Oyasama, declaring: “I am God of Origin, God in Truth. There is causality in this Residence. At this time I have descended here to save all humankind. I wish to receive Miki as the Shrine of God.” When Oyasama was settled as the Shrine of God, Her mind was replaced with that of God, thereby enabling Her to convey God’s intention to humankind. Around this year, Oyasama begins to give away Her personal belongings as well as Her family’s possessions in order to fall to the depths of poverty. God commanded, “Fall to the depths of poverty.” Oyasama taught that by giving generously to the needy and renouncing attachment to material things, one would surely become brightened in mind, thereby allowing the path to the Joyous Life to open up by itself. Oyasama begins bestowing the Grant of Safe Childbirth. The Grant of Safe Childbirth is bestowed from Jiba of Origin, the place of God the Parent’s original conception of humankind. Any woman who receives the Grant of Safe Childbirth and leans on God the Parent will assuredly be blessed with a safe childbirth. The Place for the Service, Tenrikyo’s first construction, begins. The construction of the Place for the Service was the first construction project undertaken by the Tenrikyo community and was completed in 1865. Oyasama lived in the north room with the raised floor in the Place for the Service for about ten years until 1875, when She moved to the South Gatehouse. In 1888, when Tenrikyo Church Headquarters was established, an extension was added to the south side of the Place for the Service, thereby enclosing Jiba within the building. This enabled the structure to be used as the Sanctuary until 1911, when it was moved away from Jiba to make room for what is now known as the North Worship Hall. Oyasama begins teaching the Service. The Service is Tenrikyo’s most important rite as it is the fundamental means for the path of single-hearted salvation. The Kagura Service is a reenactment in principle of God the Parent’s providence at the time of creation. Ten Service performers encircle the Jiba-Kanrodai and symbolize by hand-gestures the principles of God the Parent’s workings by which humankind and the world were created. The Kagura Service is the means by which we call forth God the Parent’s blessings of universal salvation, whereby the world will be reconstructed as the world of the Joyous Life. Jiba, the place for the Kanrodai, is identified. The place where human beings were first conceived is called Jiba. It is the birthplace of all humanity. The area centered around Jiba is referred to as the “Home of the Parent.” The divine name “Tenri-O-no-Mikoto” was given to Jiba, where God the Parent resides. Conducted around Jiba is the Kagura Service, in which we pray for the reconstruction of the world into the Joyous Life World. The Service is performed for the first time with the full set of musical instruments. On February 18 (January 26 by the lunar calendar), Oyasama withdraws from physical life. Tenrikyo teaches that, even after withdrawing from physical life, Oyasama remains everliving as “Tsukihi on earth” and that even now She continues, as She will for all time, to guide and provide for all humankind, with Her soul remaining at the Residence of Origin forever. It is by virtue of Her eternal life that She bestows the truth of the Sazuke, the Divine Grant, even now. Tenrikyo Church Headquarters is established under the direct supervision of Shinto. On January 26, 1888, the First Anniversary of Oyasama was held, but in the middle of the ceremony the police came to interrupt it and drove the worshipers away. This made the followers feel more strongly about the necessity of obtaining legal recognition of their faith. In the same year, the first Shinbashira submitted a petition for official recognition through the assistance of the Shinto Headquarters. The petition was granted, thus enabling Tenrikyo Church Headquarters to be established. Tenrikyo missionaries go to the Korean Peninsula, marking the beginning of the overseas mission. On September 12, Taichu Church, the first overseas church, is established in Taiwan. Tenrikyo achieves sectarian independence from Shinto and is officially recognized. In 1899, the Shinto Headquarters advised Tenrikyo Church Headquarters’ officials about the prospect of Tenrikyo’s independence as an autonomous religion authorized by the government. Tenrikyo took advantage of this recommendation to begin preparations for submitting a petition for independence. Tenrikyo made a total of five attempts before it finally achieved independence in 1908. In order for a religious group to become an authorized independent religious institution, it was required to have a systematized doctrine and an institutionalized organization. Tenrikyo needed to reinforce its organization, systematize the doctrine, and install or improve various facilities. On January 27, the Mission Headquarters in America is established. On August 26, the Mission Headquarters in Taiwan is established. The restoration of the teachings and the Service begins after the end of World War II. 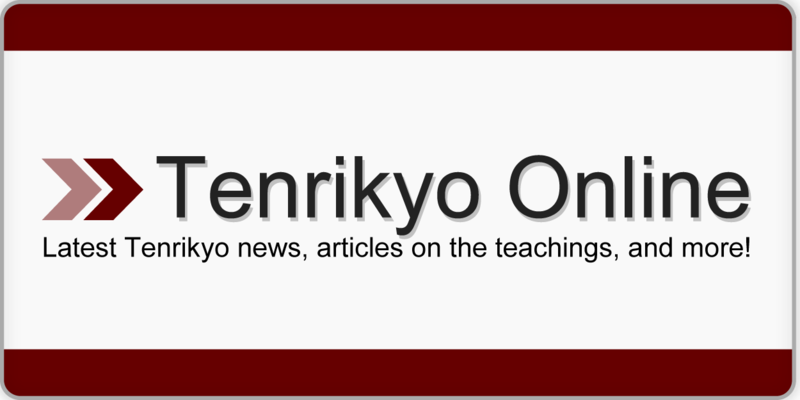 In 1939, Tenrikyo Church Headquarters announced several changes in its doctrine and ritual under the name of “Adjustment.” It was, in fact, to adjust Tenrikyo teachings and practices to comply with the demands of the state authorities. On August 15, 1945, when the war came to an end, the second Shinbashira announced the restoration of the original teachings and the Service. The restoration, however, was not to restore them to the way they had been before the Adjustment period. Instead, it referred to the efforts to return to the origin of the teachings and establish a faith that is truly grounded in what Oyasama taught. On July 31, the Mission Headquarters in Brazil is established. On January 1, the Overseas Mission Department (originally established in 1927) is re-established. On January 26, the Mission Headquarters of Hawaii is established. On February 24, the Nepal Renrakusho is established. On July 22, the Mission Center in Paris (later renamed the Europe Centre) is established. The Mission Center in Colombia and the Mission Center in Singapore are established, respectively, on March 8 and April 18. On January 22, the New York Center is established. On October 8, the Mission Center in Hong Kong is established. On May 10, the Mission Center in Thailand is established. The Mission Center in Mexico, the Indonesia Shutchosho, and the Mission Center in the Philippines, are established, respectively, on May 5, November 7, and December 13. On July 26, the Mission Centre in Oceania is established. On May 7, the UK Centre is established.